I am currently working at Rothschild, Mexico and taking MBA courses at the Autonomous Technological Institute of Mexico through my Fulbright binational business scholarship. It has been three months since embarking on my experience and I have not been disappointed. 24 hours in a day become short to take advantage of everything there is to experience and learn. This dynamic scholarship is granting me a multifaceted experience. I am learning first hand how to value and understand the logic of Mexican businesses in my placement by contributing work to financial restructuring and merger and acquisition projects. Interacting with Mexican professionals is also granting me a unique perspective to learn how to view business, Mexico, and the United States from different social lenses of Mexico’s diverse society classes. 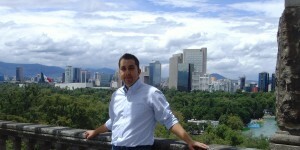 There is never a lack of opinion on Mexico’s interdependence with the United States. My enjoyment comes in having my perspective of what is Mexico enhanced and enhancing Mexican perspective of the United States and Americans. 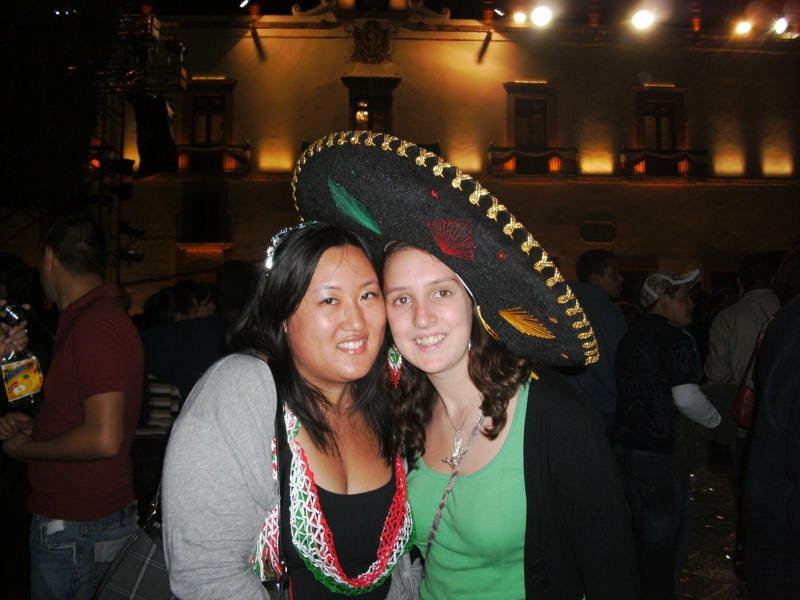 Being in Mexico during its 200-year independence anniversary is the best aspect. Mexico’s culture is historically vibrant but this year its vibrancy is enhanced with a bicentennial touch that the government and the majority of society have made a priority to celebrate. I am enjoying every minute of the bicentennial, especially on my program integrated culture days. I have had a fast paced first three months and I look forward to continue making the most of the remaining time in Mexico. The 4:30 AM call to prayer has become a part of my daily soundtrack to life in Indonesia. Torrential rains are often a signal to the end of my day. Each teaching day I hear the chorus of “Hello Mr. Mark” as numerous students either give me an oddly familiar teenager-style handshake or touch the back of my hand to their head or their lips. I live and teach at an Islamic boarding school where half the female students wear jilbabs (head coverings) and half the student body is originally from outside the island of Java. My teaching efforts here are to shoo out malu malu kucing (shy shy cats) from the classroom and encourage self expression and creativity. We are, as my Indonesian pedagogy teacher proclaimed, here to change the dynamic of English teaching in Indonesian classrooms; each small success feels exhilarating. Life in West Java, Indonesia as an ETA has not been quiet since I arrived. I recently returned from the cultural capital of Java, Yogyakarta (pronounced joke-jah-kartah), but my trip was cut short after the nearby volcano forced our evacuation. While awaiting our train to depart, the West Java ETAs found out that we received tickets to attend President Obama’s Speech during his 24hour stopover in Indonesia! Other, more frequent, travel experiences are haggling for souvenirs and taxi rides, listening to street performers with portable karaoke systems, and refusing sellers of cigarettes, tissues, drinks, and freshly fried snacks. Amidst the countless activities and apparent chaos there is a consistent kindness in all the people I’ve met in Indonesia: a willingness to smile, laugh, and entertain my amusing, but horrendous Bahasa Indonesia (Indonesian). I’m three months in with so much more to learn and experience about teaching, Indonesia, and myself. Hola from Mexico! 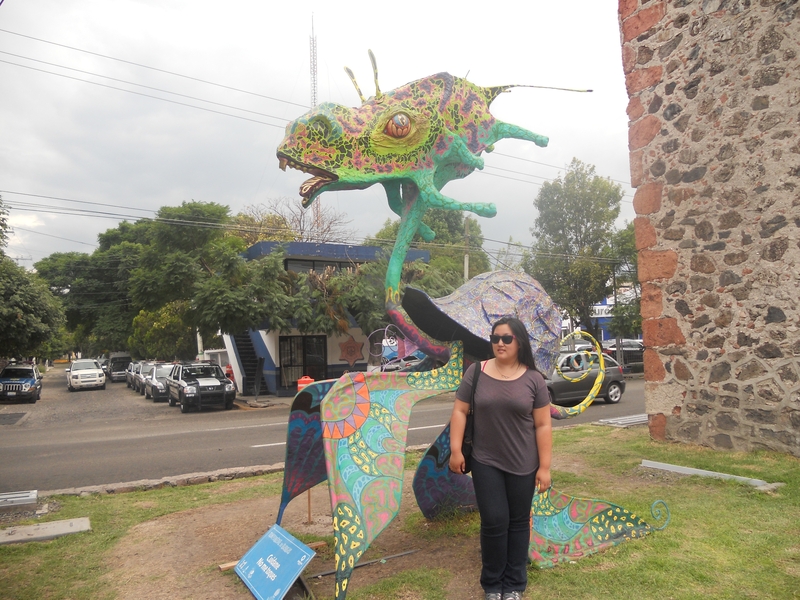 I have been in Queretaro, Mexico for about 2 months now on a Fulbright teaching assistantship. Aside from teaching four days a week, I have been trying to absorb as much culture as I can. I recently started to take a class on how to make Mexican mythical creatures called alebrijes. I feel lucky to be in Mexico for both the bicentennial of Mexico’s independence and also the centennial of Mexico’s revolution. The bicentennial was an unforgettable experience. Thousands of people swarmed Queretaro and joined in a practically week-long celebration with native dancers dancing in the streets, fireworks, and an independence shout lead by the mayor of Queretaro. It was complete madness! As for teaching, I have an unconventional group of students in that all of my students are teachers themselves. It was pretty intimidating at first to teach people who are significantly older than me but my students made me feel welcome. I teach all levels, from those who do not know the alphabet to those who can carry a decent conversation in English. One thing I have found is that to really learn a language, one must practice it frequently and spend many years learning it. Many of my students are frustrated that they aren’t really improving their language skills from a once a week class. I didn’t realize until speaking with students about their struggles to learn, but I have been learning Spanish for over 7 years (and am still not completely fluent!). I am not sure why it is expected of them to reach fluency in such a short period of time with so few classes. I have learned a lot about myself from teaching and just being by myself in Mexico. Oftentimes, I am not told what to prepare for a class until the day before or even 10 minutes before the class starts. The first time this happened to me I almost had a panic attack. I walked into a classroom full of about 30 students and had to create a lesson on the spot. I actually ended up going overtime and felt the students were not aware of my unpreparedness. Mexico has definitely taught me to be more flexible and spontaneous. Trying to make friends has been an adventure and has made me a more open person. I have made friends from all walks of life including a vibrant 80 year old woman, a homeopathic pharmacist, a professional soccer player, and a dancer who performs in a circus. All in all, my time in Mexico has been a blast so far! You are currently browsing the Scholarship Opportunities Program blog archives for January, 2011.